Like most medical facilities, dental offices are expected to offer a clean, professional and relaxed environment. Creating the right ambiance and environment for your dental clinic will make patients feel relaxed and welcomed. Whether a family practice or oral/ maxillofacial surgery clinic, choosing the correct dental office floor can help deliver the positive experience patients expect. When it comes to caring for the health of patients and staff, hygiene is key. Our flooring formulas are designed specifically for environments like dental offices, where enduring sanitation is important. Our polymer flooring systems are fully customizable to the needs of your dental office for superior sanitation, easy cleaning, safety and durability. 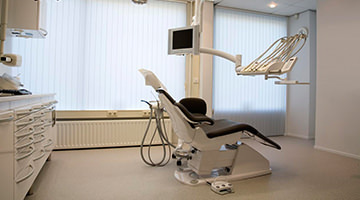 Florock offers a large array of dental office flooring systems and specially formulated epoxy floor coatings to meet the needs of dental practices without compromising beauty and aesthetics. Our decorative flooring systems can be fully customized to coordinate with existing or new design and colors — even personalized with the practice logo for a unique and welcoming effect. We also offer a variety of sophisticated color options and soothing organic patterns to help alleviate patient stress. 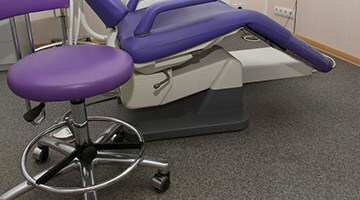 Specifically designed to be highly durable and resistant to wear, our decorative dental flooring line includes concrete floor coatings that can withstand chemical and solvent exposure, the dropping of sharps, small instruments and tools, and heavy street shoe, rubber wheeled – and even metal wheeled – cart traffic. Whether you’re looking for a new flooring system for new concrete or want to replace an existing, under-performing floor covering, our knowledgeable flooring specialists can help you find the right high performance system for every dental practice. Contact us to learn more about our dental office flooring options.